Here are 10 different new sweater styles that you are going to see a lot of this winter. So check them out right away and tune your wardrobe right. Tired of those choking turtle necks? Here are some cool sweater styles you can add to your wardrobe to dress up in style this winter. It’s the knitting pattern that brings in the name chunky to a sweater. Sweaters made with thick wool or yarn are quite in trend this season and you surely got to have at least one of them in your wardrobe for the days colder for a regular sweater but when you’re really not ready for a coat. Fuzzy are the fluffy sweaters made of cashmere, mohair or wool. They are delicate but extremely warm without making you carry a truckload of woollens to keep you warm inside, yet look trendy. It’s a pity if you don’t already have one. Sweaterdresses are a cool answer to “whether I should wear a sweater or a dress”? These woollen knitted dresses are suitable for parties and functions, business meetings, and of course shopping and travelling too. Just team it up with a waist belt and flaunt your high heels along. A sweater with an elbow patch is a thing of the past. 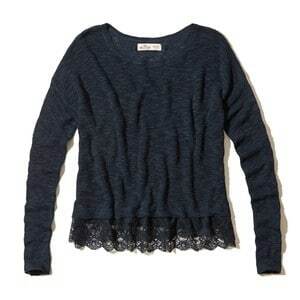 What’s really in the hem sweater with a fabric, lace or a piece of suede in the hems to give your sweater a little cowgirl, a little rustic look that you always die for. Hem sweater can be of any length or style, but the ones with curved edges usually look too smart to ignore. A cropped cardigan that you can wear on a t-shirt, a top or blouse or a dress a saviour when wearing a woollen is obligatory but either you aren’t really feeling cold or there isn’t anything that will go well with your dress. People usually mix up a knee length loose fitted sweater with a shrug, but they are capes we are talking about. 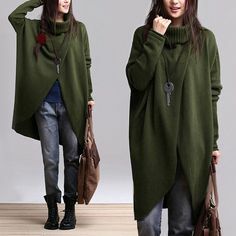 Loose fitted smart sweaters can be long front open cardigans or baggie style sweaters. These types of sweaters usually are best if you don’t want to dress up extensively but just wear this sweater are voila, you’re done. They are also great for hiding the body fat. You heard it right! 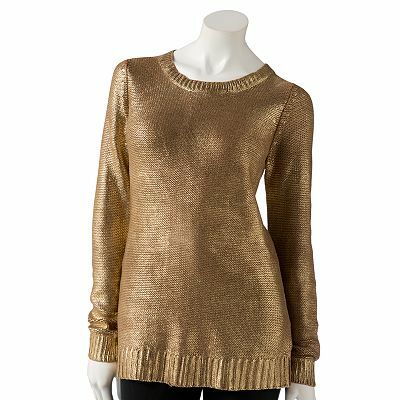 Metallic sweaters may not actually be made of metal but the metallic appearance gives them a real rock star look. They effortlessly give you an amazing look while all you did to get dressed was pulling it on. They are perfect for dinners, cocktails, parties and sometimes office too. Having one isn’t too much to ask for. Trending now- these asymmetric sweaters are versatile must-haves for all occasions. Pick the one with a side slit, asymmetric hemline, double-breasted (angrakha style) or the one with a longer back than front. These give you a real stylish street look, are perfect for casual wearing and are easy to maintain. 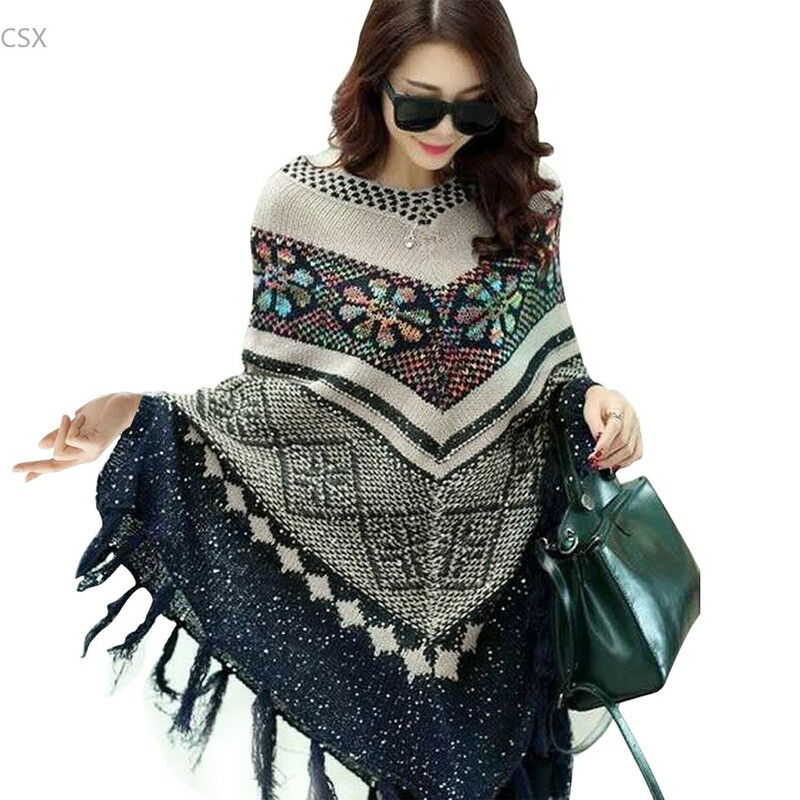 Earlier known as ‘ponchos’, these cloak sweaters are too good to resist. You can wear them to work, to lunch, shopping, and family meeting or when you are just hanging out with friends. Team them up with jeans, trousers, skirts or a dress and they will always give you a mesmerizing appeal. Cloak sweaters are available with or without sleeves. 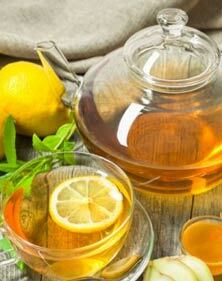 However, body shape must be kept in mind while choosing a cloak as they can make fat look fatter and thin look thinner. For a real stylish look in winters, having at least one batwing sweater is a must. This is a trendy sleeve style that starts with the middle of the sweater’s length to give you a thicker, wobbly arm hole. Whether you pick an earthy shade or a glamorous solid colour, you will surely find heads turning to you when you are in this sweater!